Reminds me of the story about the threadbare stuffed toy that was loved-to-death…The Velveteen Rabbit. Finding myself on a hamster wheel. 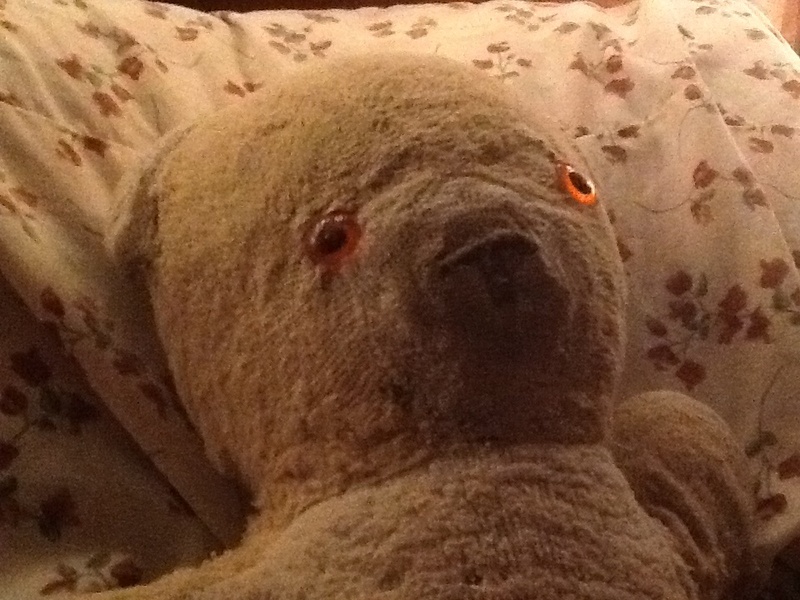 I reached out tonight to a friend so I wouldn’t be morose in bed, hugging on to my teddy – my 40 year old touchstone. I’m tired of listening to my own thoughts, so I can only imagine how you must feel reading them. I know what it is important in life. Love – family – serenity – service – enduring friendships. I’m burned out on the wheel though. If I had a magic wand, it would put me somewhere with a future. A chance to spread my wings and not have them operated by ‘must’. Must fly here – must fly there – must not touch the light. I wrote this poem years ago, and it’s become a metaphor for what could have been. I could not read much more.